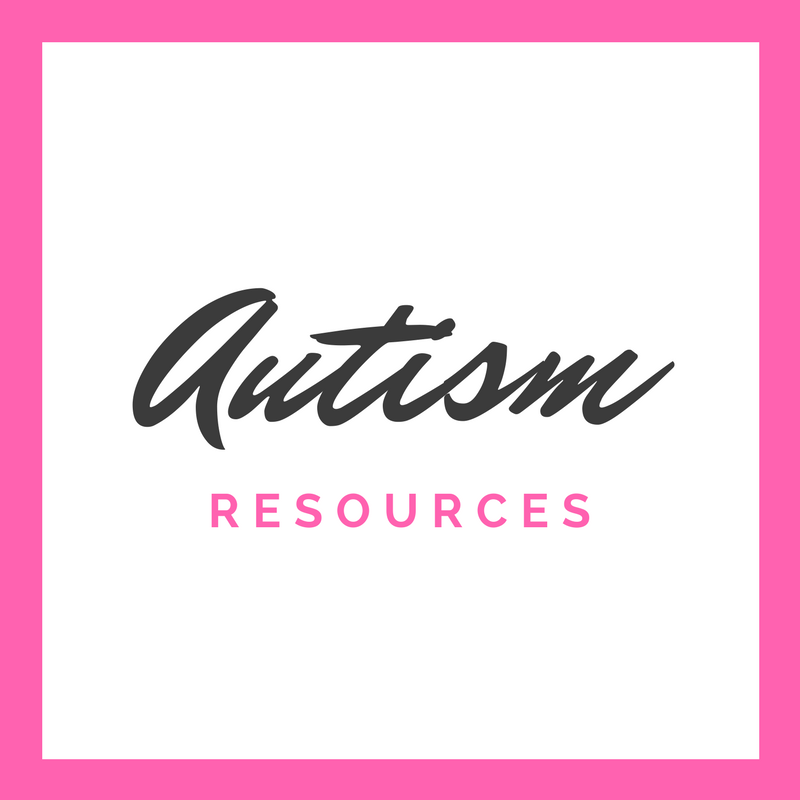 Looking for a simple Pokemon craft for kids? Try making this pokeball perler bead craft! At our house, Pokemon is life. We read a lot of Pokemon books. We play a lot of Pokemon Go. 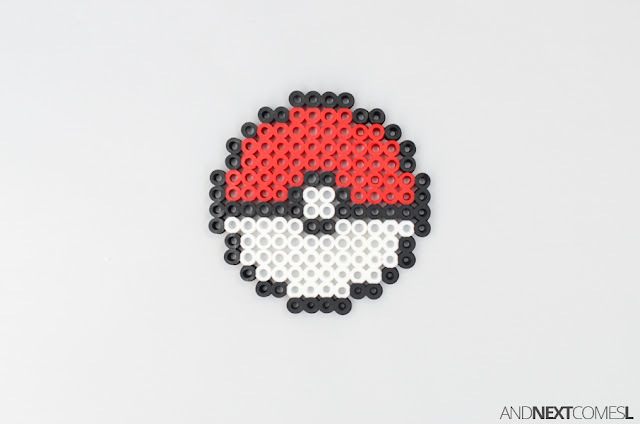 We make a lot of Pokemon crafts. I even just made two Pokemon birthday cakes, one for each boy, this past weekend. My kids have also really gotten into perler bead crafts. In fact, one of the first perler bead crafts my kids made was this pokeball. 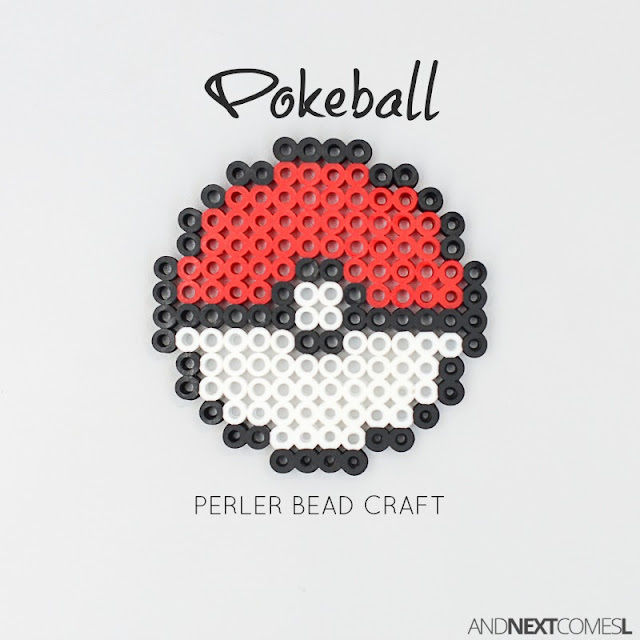 This pokeball perler bead craft for kids is super easy to make and can be turned into a keychain or magnet for your child to proudly display wherever they please. 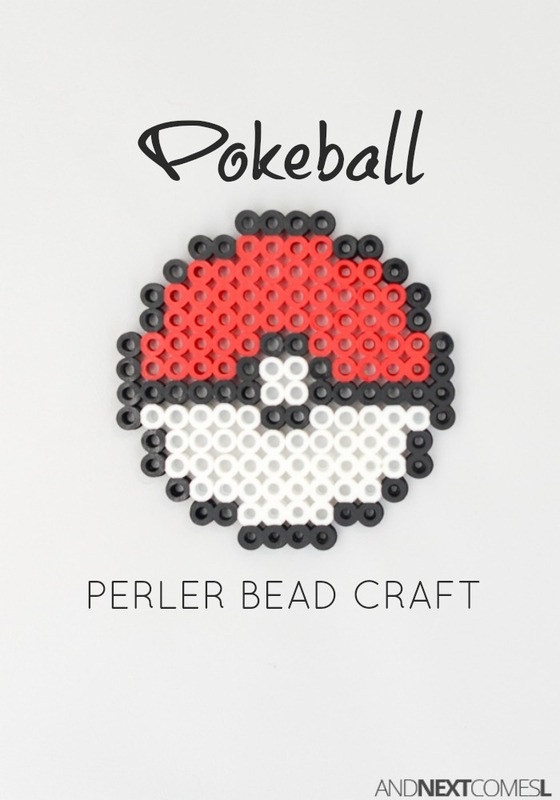 Pokemon Craft for Kids: Make a Pokeball Perler Bead Project! Use the photo below as a pattern to make your own pokeball on the pegboard.